I’m having great trouble forming a 10% solution of Maltol. Specifically, I’m trying to dissolve 3 grams of Maltol in 27 grams of solvent. I’ve tried everything from Propylene Glycol, to Deionized Water, to Ethanol, including some mixtures of these few solvents, but none of them can work to fully dissolve all the Maltol. The best one so far appears to be hot Deionized Water, which appears to dissolve the most Maltol. Adding a small amount of Ethanol helps dissolve the Maltol further, but not completely. Here I’ve attached a photo of the result. The entire mixture was immersed in a hot water bath. As you can see, the Maltol appears to form fluffy clumps that float to the surface, and are really stubborn to dissolve. If anyone could advise me on how to achieve a complete dissolution of the Maltol, that would be very much appreciated! Maltol (3-Hydroxy-2-methyl-4-pyrone) appears to be most soluble in ethanol. Your fluffy floating clumps suggest something like water, which would reduce the solubility of maltol and could clump it up. or maybe there is some other impurity that complicates things. Not the answer you're looking for? Browse other questions tagged aqueous-solution solubility solutions or ask your own question. Solubility of gold salt solution? Solution , Solubility and Colligative Property? 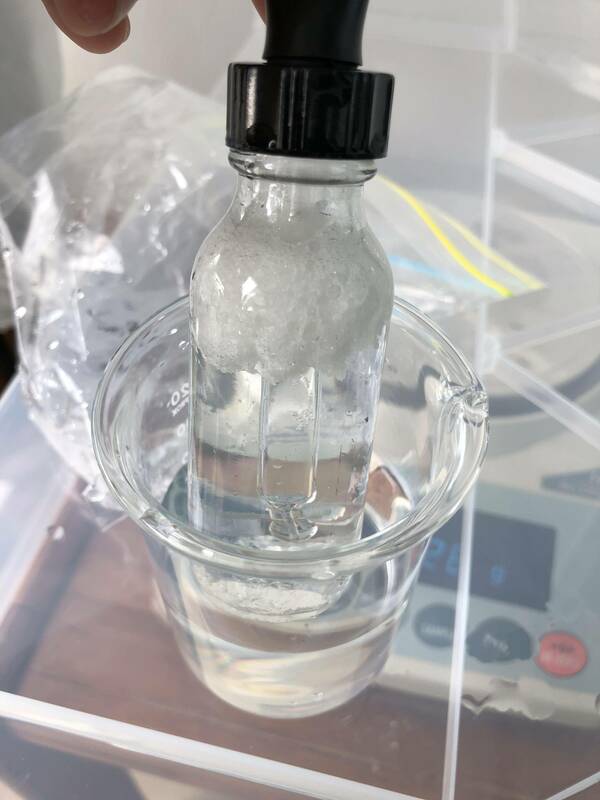 Is lithium bicarbonate an aqueous solution of lithium carbonate?